Your customer data is a precious asset. But marketing your list - everything from attracting renters to managing your list – can be tricky. Mailing list marketing all raises more issues than most companies care to tackle by themselves. 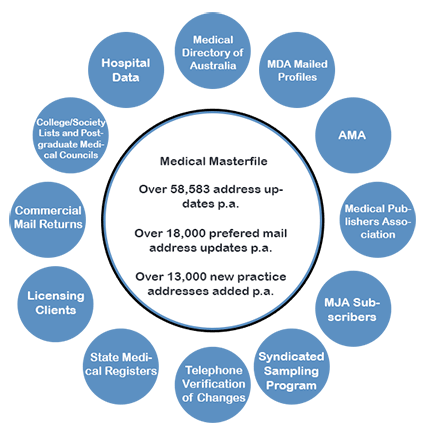 That's why many of the world's leading organizations depend on Healthcare Mailings conscientious attention to detail to eliminate hassles and maximize mailing list rental revenue. Our List Marketing Information Request will help you get more specific information about how you can turn your list into a revenue source. Tireless promotion, innovative techniques and an exhaustive network make Healthcare Mailings List Management services your best choice to maximize list rental revenue from your Canadian lists and other direct response media. Rely on Healthcare Mailing to unearth and tell the compelling stories behind your direct response media. Using print, e-mail, web pages and incentive marketing, we put your list and those stories in front of key prospects. Networking Partnering with Healthcare Mailing ensures that your list stays top-of-mind with direct mail marketers, our network of brokers, consumer and business mailers, agencies and other key contacts throughout Canada and United States. Managing your data generates lots of paperwork. Let Healthcare Mailing deal with the sample mailing pieces, list rental agreements, list orders, trade balance reports and all the other bothersome details of managing your list. Healthcare Mailing 's suite of financial and marketing reports permits instant, specific and detailed analysis of list rental revenue, receivables, order activity, trade balances, top clients, top brokers, top categories and more. Our programming and account management specialists provide the complete, courteous and reliable list fulfillment support that keeps your list renters satisfied and your business flourishing.